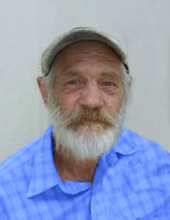 Mr. Claudie Duncan, age 67, of Lindale, GA passed away at his residence on Monday, September 3, 2018. He was born on April 9, 1951 in Haralson County, GA a son of James Thomas Duncan and Lottie Redden Duncan. Mr. Duncan had lived most of his life in the Polk and Floyd County area and was a self employed drywall contractor. He loved fishing, spending time with his grandchildren and tending to his chickens. In addition to his parents he was preceded in death by a sister, Ludie Busby and by four brothers: R.C., Marvin, Johnny and Raymond Duncan. Survivors include a son, Chris Duncan (Jeannie), Lindale; a daughter, Sundee Proctor (Levi), Aragon; four sisters: Sudie Cumbaa, Cedartown, Ruby Redden, Rockmart, Janie Duncan, Silver Creek and Nancy Babb, Cave Spring; four brothers: J.W. Duncan, Cedartown, Jimmy Duncan, Rome, Randy Duncan, Silver Creek and Benny Duncan, Aragon; nine grandchildren and numerous nieces and nephews. Funeral services will be held Friday, September 7, 2018 at 2:00 pm in the chapel of the Alvis Miller & Son Funeral Home with Rev. Bob Lawson, Rev. Michael Edwards and Rev. Jack Sexton officiating. Interment will follow in the Live Oak Baptist Church Cemetery. Pallbearers will include: Marvin Duncan, Steven Redden, Richard Jacobs, Lee Duncan, John Redden, Danny Busby, J.D. Nale, Lonnie Nale and Levi Proctor. The family will receive friends Thursday evening from 6 until 8 pm at the funeral home. The Alvis Miller & Son Funeral Home is in charge of arrangements for the funeral of Mr. Claudie Duncan. To send flowers or a remembrance gift to the family of Claudie Duncan, please visit our Tribute Store. Interment will follow in the Live Oak Baptist Church Cemetery. "Email Address" would like to share the life celebration of Claudie Duncan. Click on the "link" to go to share a favorite memory or leave a condolence message for the family.